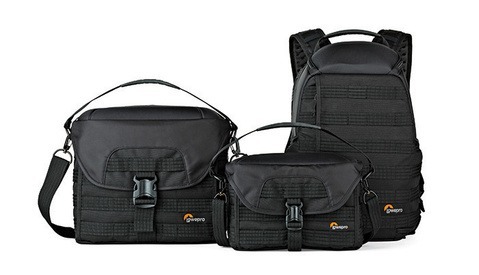 Announced this morning at the opening of WPPI, was the new Echelon collection from LowePro. The Echelon collection is designed to blend form with function to create some of the best, and most stylistic bags available for photographers. Not only am I able to announce the new series, over the last few weeks, I’ve had the opportunity to try these new bags out. Lowepro, while incredibly durable, have never had much beauty accompanying their bags. As an avid supporter of their bags in the past, they’ve always made bags that are durable, but kind of boring in design. Well, I can confidently say that the new Echelon series is not boring by any means. 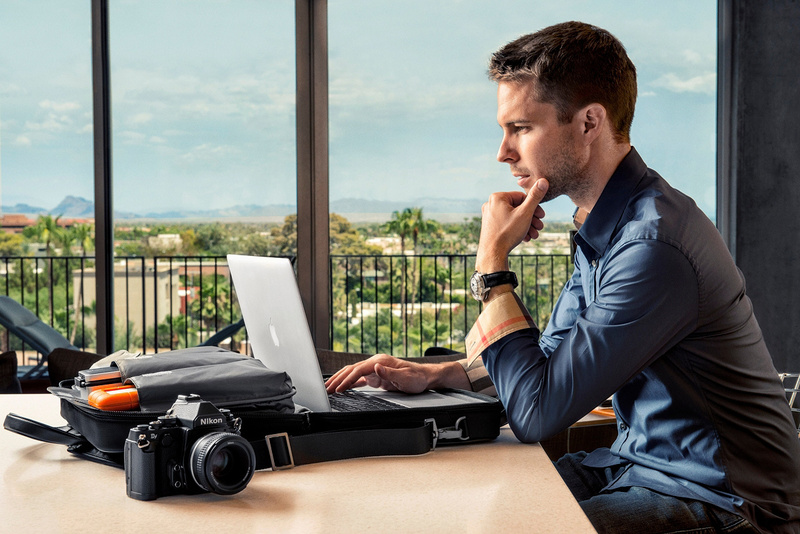 The Echelon collection is three new bags from LowePro - the Roller, the Attaché and the Brief. Paired together, they’re designed to provide a very professional take to the standard photography bag. With leather trimmings and simple elegance, the appeared target market for LowePro is the working photographer, who wants a touch of class with their workhorse bags. Most roller bags designed for photography also have a tub, which is nothing more than a plastic casing that fits inside of the bag. These tubs are designed to add rigidness to the bag, and support for the precious cargo inside. Each bag is different, with varying sizing and rigidness of tubs and support. Again, the Echelon roller is the best I’ve ever seen. Aside from the housing of the bag. the separators also stand out. Made of a rigid plastic wrapped in fabric, the separators provide production while having a strong structure to keep everything in its place. Perhaps the only downfall to this bag is its size. As someone who is often criticized for having too much gear, this bag still has some empty spots for me. My previous bag, the Pro Runner 450AW, was larger in size, and still not able to contain as much gear as the Echelon Roller does. Albeit, a small critique for an otherwise exceptional and elegant bag. Perhaps of the three bags, the Attaché is the most practical, but most confusing bag for me. While the build is as exceptional as the rest in the series, the size seems either far too small, or far too large to be practical for most work. That said, the construction of the Attaché is much like the Roller of the Echelon collection. The dividers are well constructed, and the overall design of the bag is purposeful and practical. That said, this bag probably is large enough for most. 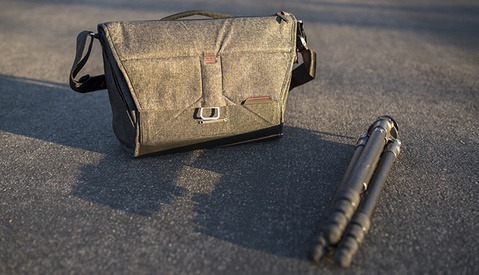 Promising to hold a DSLR, and three lenses, along with a flash and other accessories, the Attaché works as a perfect companion to the series, providing a smaller bag in the lineup to the already too large Roller. While a bit unconventional, I've found the Attaché to be a perfect companion when stripped of its lens organization dividers, and used to carry clothes or other essentials while traveling with the Echelon Roller. Perhaps my favorite of the three bags, is the Echelon Brief. Being nothing more than a work tailored briefcase with the photographer in mind, the Brief has the same design styling as the other bags in the collection, and allows me to easily carry a laptop, wacom and few other tools that I’d need to use while on the road. The greatest downfall of these three otherwise incredible bags comes in the price. The prices of these bags are $800 for the roller, $420 for the Attaché, and $340 for the Brief - a luxury price for such a luxury item. And while these hefty prices are among the highest in their respected categories of gear, the Echelon series does justify it in features that are often lackluster in their competitors. With the durability and design of these products, it’s hard to justify the cheaper alternative when traveling - especially when carrying some of your most valuable of gear. In short - these are some of the best bags I've ever used for my photography business. Lowepro has impressed me with there simplicity matched with elegance in the Echelon collection of bags. That said, they seem to go as a set moreso than anything, and purchasing them all would cost over $1300, which is a very hard price point to justify, expecially when the competitors are hundreds of dollars less. That said, if you're able to swing the cost, I highly recommend these bags. Their designing paired with their sheer durability provides us with some of the best, and most versatile bags on the market today. 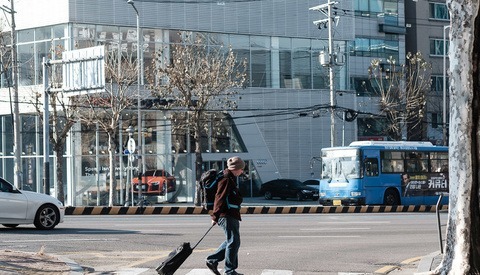 "With the durability and design of these products, it’s hard to justify the cheaper alternative when traveling - especially when carrying some of your most valuable of gear. " "purchasing them all would cost over $1300, which is a very hard price point to justify, expecially when the competitors are hundreds of dollars less." Buying a bag - (from the video) "not about getting there but arriving".... "they compliment the lifestyle." Well obviously there's a lot of jetsetting photographers making big bank nowadays. We gotta look good traveling the world in our private jets, shooting supermodels and exotic landscapes. I've got to say that although Lowepro is a big company in camera bag industries, I find that their dividers are the worst I've seen. Pro Trekker 600AW, Pro Roller X300AW, Stealth Reporter D200. With all of those bags I've had lots of issues with dividers as the velcro isn't strong enough. Also the padding is quite thin, especially with the new 'Maxifit' dividers which has got a weaker velcros. I've to say that I'm not a brand loyal or brand fan but I think ThinkTank Photo has done it right. I like that all of the dividers are covered with the velcro so you can attach other pads to it. This way you can control the interior of the bag far easier than you could with Lowepro. Sorry about this, I just don't find Lowepro any good. Even when they have this 'luxury models', if they can't get the basic things right in the normal bags, I don't find them doing their job right. I mean, I WAS gonna get the Hermes photo bag, but I may have to rethink after seeing these! My apologies. I had to write this article while mobile, as I was on the showroom floor. Autocorrect on my phone and tablet took over, and I didn't properly screen it out of haste. I understand you're a photographer, not a writer, but it would be nice if this site had an editor to proof articles prior to publication.